Negotiations going nowhere? Have you been wronged by a party in Asia? Need help getting your money back? Unfortunately there is no Better Business Bureau in most parts of Asia where you can take your grievances. Unless your loss is very large, you will find very little support from government agencies and local police. This document is designed to explain your options. Before reading the rest of this page, please review the flow chart carefully. 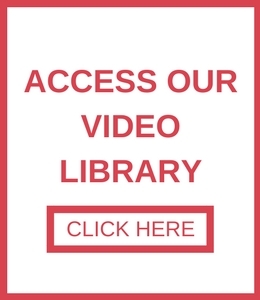 It will save you a lot of time and probably answer a lot of your questions. Unless you are sure you have an “open & shut case” and all negotiations with the target company have been exhausted, in the interest of time and budget, it is probably not in your best interest to take the target company to court as you next move. However, if you are set on litigation, AsiaBridge Law stands ready and willing to help you. For the vast majority of cases, the appropriate next step is to engage the Demand Letter Service or have AsiaBridge Law negotiate a settlement. Which option is best? It depends on a number of factors, including but not limited to: strength of your case (from a legal perspective in China), financial position of the target company, your budget & available time frame. Do you have a strong case from a legal perspective? Issuance of a Demand Letter is suitable in situations where the client has solid evidence allowing a sound legal case to be built against a real company/individual in China. Demand letters leverage the threat of legal action. If the subject company is not responsive to the demand letter, the case can be taken to court. The Demand Letter Service is invoiced as a fixed fee and a commission is not applied to the recovered funds. Visit the rate sheet for more information. What if you have a weak case? When the case is weak from a legal perspective (usually due to missing documents like signed contracts) a reasonable settlement is still very realistic when leverage is applied using AsiaBridge Law’s proven tools & techniques. This service is called “Loss Recovery: Negotiated Settlement” and is quite different from the demand letter service as the loss recovery process is more similar to debt collection. Thugs aren’t hired to break legs, but aggressive tactics are engaged. All tactics used by AsiaBridge Law are in full compliance with local laws. The “Loss Recovery: Negotiated Settlement” service fee is billed as a percentage of funds recovered. There is also a small deposit to start the process. Access the rate sheet via our “contact us” page to learn more about “Loss Recovery: Negotiated Settlement”. What if you don’t know if your case is weak or strong? If you are unable to choose which loss recovery option is best for you, we recommend to select the “Demand Letter Service” and during the case review if it turns out that your project would be better served by another option, the remaining fees will be credited to your balance or returned to you if AsiaBridge Law is unable to provide the required service. The goal of the demand letter is to reopen negotiations, help the client settle out of court and ideally gain a resolution that is acceptable to the client. While AsiaBridge Law will make every reasonable effort to resolve the dispute on behalf of client, there is no guarantee that the demand letter will succeed in recovering some or all of the client’s loss. On average, 30% of cases are closed to client’s satisfaction during the demand letter phase. The most effective technique involves a well-crafted demand letter in local language from our local law firm followed by a phone call to the party in question from our local lawyer. The remaining 70% of the cases are either moved to litigation, dropped by the client or the client elects to continue negotiations. A paralegal will collect the case file and a local lawyer will review the details and suggest a strategy. Is the company or individual in question real? Are you dealing with a scam artist operating under false identity? Who is the actual owner and official representative? As the local language is the official language of the legal system, it is essential to know the legal name (in local language) of the subject company and key representatives. A demand letter sent to the English name of a Chinese entity, for example, is likely to be ignored. Due diligence is affordable and effective. It gives the client the transparency they need to make a decision about moving forward with the case. The subject company will not know due diligence is taking place! But if you sure you already know the information above, you may opt to skip the due diligence phase. The demand letter service is not inclusive of ongoing negotiations if the target company’s response to the demand letter is not fully acceptable to client. Client may consider the General Counsel services if they wish to have ongoing support beyond the demand letter. In the event the case review indicates a demand letter will not be an effective option, our legal team will offer suggestions for the Client and the fees for the Due Diligence and Demand letter will be returned to the client. In the event the due diligence indicates that the target company has no assets and/or no longer in business, the fees for the Demand letter will be returned to the client. What if the demand letter is not successful in ending the dispute to client’s satisfaction? target company has gone out of business, is broke or doesn’t care about its brand/reputation. Is the demand letter is not successful in meeting the client goals, as part of the Demand Letter Service, AsiaBridge Law will advise on the remaining options available to the client. This report is provided at no additional cost but the fees associated with taking the next step are not included in the initial demand letter service invoicing. A reasonable settlement is still realistic when leverage is applied using AsiaBridge Law’s proven tools & techniques. This service is called “Loss Recovery: Negotiated Settlement” and is quite different from the demand letter service as the loss recovery process is more similar to debt collection. Thugs aren’t hired to break legs, but aggressive tactics are engaged. All tactics used by AsiaBridge Law are in full compliance with local laws. Litigation in many parts of Asia is actually fairly straight forward and affordable compared to the US and Europe. Overseas companies can indeed win against local firms and individuals when they have the right lawyers and a solid case. Local police often require a Chinese-speaking local representative as their interface. AsiaBridge Law can serve as your representative and counsel to encourage the police to take action as police efficiency and interest in a given case can vary dramatically from district to district. Why not start with litigation, police action or negotiated settlement options in the first place? The simple answer is that those options require a deeper investment in time and money. Demand Letters are far less costly and can be enacted in a matter of days/weeks rather than months/years. While not always successful, they do provide the “most bang for the buck”. Is my loss large enough to make it worth while to hire AsiaBridge Law to help recover funds? Keep in mind that in China you can include direct and indirect losses when seeking compensation. But if the value of your direct plus indirect loss is not larger than 4,000 USD in total, it probably doesn’t make economic sense to retain the services of a lawyer as minimum service fees need to be invoiced. See the rate sheet for details. Is it possible to pay for the demand letter services after funds have been recovered? Our flat fee for a demand letter is much lower than the commission a debt collection agency would charge. If the initial case review concludes you have a small chance of victory, the remaining due diligence and dispute resolution fees will be returned to you. If the due diligence shows the company is broke or closed, the remaining service fees for the dispute resolution are returned to you. If the due diligence shows that the target company has closed or is broke? Unless there was criminal negligence (very rare in commercial disputes) or you are willing to spend the time/money to go to court in hopes of putting a court ordered lien against any assets that may still remain at the target company, then the best option in most cases, I am afraid, is to cut your losses and not spend more money on the case. Some lawyers would probably advise you otherwise, but that could be viewed as simply a lawyer taking advantage of your situation in order to over invoice. AsiaBridge Law doesn’t operate like that! We have been trying to contact the target company and it seems that the phone lines do not connect and our emails are being ignored. What does this mean? Phone lines and emails are easy to change. But if the seller was a real company with a real business licenses (we can find out using the due diligence) then you have a chance of tracking down the target entity and getting in touch. The due diligence will confirm if the business license is active but tracking down individuals who have gone into hiding is outside the scope of due diligence. Keep in mind that if the case review shows your case is not strong, or if the due diligence shows the company has no assets, then the remaining service fees are returned to you. Most lawyers bundle the three together and don’t offer to return any of the funds if the case is weak. At AsiaBridge Law, we charge a fair fee for a transparent service that respects our clients. And we are willing to make refunds when the case can’t move forward! Should I share with the lawyer all of my emails to/from the subject company? In most cases the best option is to provide a summary of the situation and offer a few key emails in original form as supporting evidence. If the lawyer is requested to review a large case file of irrelevant emails, it will significantly increase the workload for the lawyer and may result in a higher than necessary expenses for the client. How much does it cost to retain AsiaBridgeLaw’s lawyers for a court case in China? The good news is that court fees and lawyer rates in China are a fraction of those found in USA or Europe. And the time frame for the case to move thru the system in China is usually much faster than in N. America. The not so good news is that it is very hard to estimate in advance, how many hours will be needed to complete the court case in China. There are just too many variables to give an accurate estimate. Court fees are invoiced at cost with no mark up. 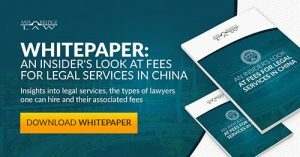 The legal fees for the attorneys in the AsiaBridge network are found on our rate sheet, which can be downloaded from the website at https://www.asiabridgelaw.com/contact-us/. Clients are invoiced in the form of “general counsel blocks” offered in 4, 10, 20, 40 and 80 hour blocks. In this fashion the clients only pay for one block at a time and has direct control over the amount they spend on a court case. The larger the block, the lower the per-hour fee.